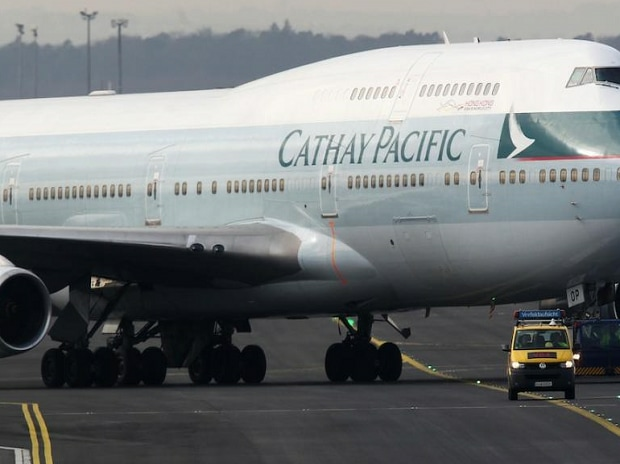 A lack of slots at Hong Kong International Airport until an expansion is completed in 2024 had constrained Cathay's ability to follow peers like Singapore Airlines Ltd and Qantas Airways Ltd and set up its own budget brand. The purchase price comprises HK$2.25 billion of cash and HK$2.68 billion of non-cash consideration through promissory loan notes, Cathay said in an statement to the Hong Kong Stock Exchange. The transaction was expected to be completed on or before Dec. 31, it added. Cathay shares rose 3.4 per cent in early trade on Wednesday, outpacing a 0.1 per cent gain in the benchmark Hang Seng Index. "It seems like a good deal given the value of the slots and the strategic importance of fast-tracking a low-cost carrier, multi-brand strategy and preventing a competitor from making a move in its home market," CAPA Centre for Aviation Chief Analyst Brendan Sobie said. "But a proper valuation is hard to figure out given the debts and complex structure of the HNA Group." HK Express has 24 Airbus SE A320 jets and the acquisition would increase Cathay's share of seat capacity in Hong Kong from about 46 per cent to 51 per cent, according to CAPA data. Cathay Chief Executive Rupert Hogg told Reuters last week he believed low-cost airlines met a "unique market segment" not captured by the Hong Kong carrier at present, and helped to stimulate new travel demand. HK Express and HNA did not respond immediately to requests for comment.